Developed the entire brand strategy for the women’s soccer apparel startup Goal Five. Launched their digital presence with a community inspired approach. Designed and developed their website and produced brand video, lifestyle and studio photography. I worked with the Brand Communications Director in day to day production and the creative execution of the Nike Basketball 2016 anthem TV commercial Bring Your Game. Production: Assisted Nike in any additional athlete needs on set: booking travel, managing schedules, securing hair & makeup, etc. Managed all budget expenditures associated with having athletes on set. Creative: Created shot lists and briefed the behind the scenes photographer. Then worked with Associate Director and athletes on set to ensure proper execution. I was hired onto the US Nike Football Brand Team as an external contractor to help launch their membership platform. My initial scope was to Project Direct numerous functions within Nike and work directly with Hudl. Hudl is a an online service that provides tools to allow coaches and athletes to review and share game footage, with a focus on helping individuals improve and get noticed. The Nike membership offering was to be integrated into HULD’s apps and digital ecosystem. Over time, I on-boarded an internal Brand Director onto the project and assisted him in managing the development of UX/UI, multimedia content, internal best practices, and establishing a new process. During the project I wore many hats and even helped create videos for media event that featured the announcement of the membership platform and Hudl Combine product. A lifestyle brand first. A spirits company second. We developed a social strategy that enabled Stillhouse Whiskey to connect with a new generation of creators. Just like these artists, Stillhouse refuses to stay in the box of what’s acceptable and sees what’s possible by doing things their own way. 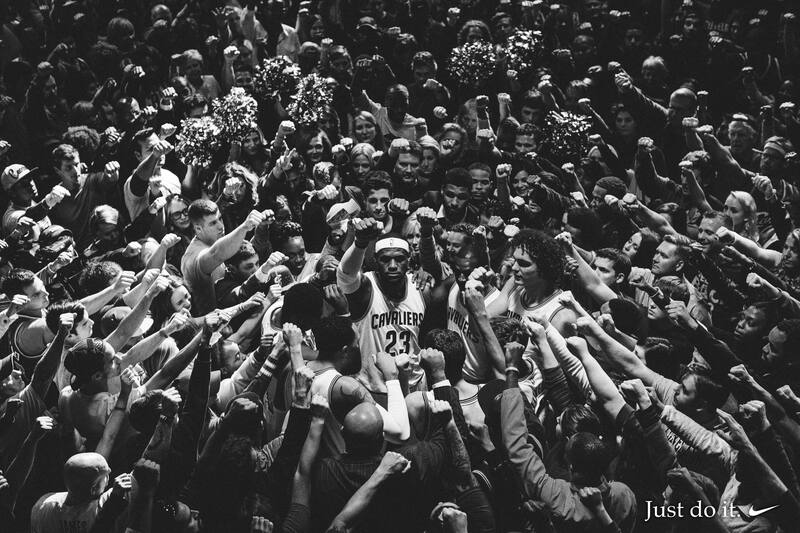 In partnership with Nike’s leading agency Wieden + Kennedy & fresh photographers from The Madbury Club, I helped secure a timeless poster of LeBron for the 'Together' Campaign. The hero 'Huddle' image was distributed in print and digital media banners. Additional photography was used in social and is slated to make an appearance in future advertising. I also worked with LeBron’s management team to launch the film on his social channels which garnered 17 million video views and 18 million total engagements. As a result of this epic ad, "LeBron Nike” was trending in the US and we had the biggest footprint of all LeBron advertisers to kick off the NBA season. - Downloadable poster at the end of the ad. Featured here. Re-strategized the entire brand proposition, developed brand identity and launch marketing plan. Created the entire brand’s look and feel from its identity (logo, colors, fonts, tone of voice) and packaging to digital presence. Designed their website and produced branded lifestyle and packaging photography. Generated brand awareness leveraging social media, paid media, and email marketing tactics. When Kobe Bryant was ready to come back from his devastating achilles injury, Nike was ready with an epic comeback TV execution and an equally poetic manifesto for print. My social team and I decided that instead of simply posting the ‘too hard to read’ print, we were going to build anticipation with our community by slowly releasing a sequence of 12 tweets, with the last one going right before the legend stepped back on court. Not only did we inspire our consumers, we also earned a million total social engagements in one day. Nike didn’t invent summer basketball but in 2013 we owned it. We set out to put a swoosh on the summer game wherever it was played and we did exactly that. The effort began with a hashtag, a film in the NBA draft, high-impact print and one of the deepest social engagement in Nike’s history. I worked with an amazing group of people from Wieden + Kennedy to brief, develop and sell in the first Summer is Serious digital campaign. Through the entire process I managed multiple agencies (RGA, Team Epiphany, Razorfish) and worked directly with talent (KD, Harden, Bill Simmons, Jalen Rose, George Gervin) to produce enough content to last us two months of social engagement. While everything we did for the campaign is too much to list, the sizzle reel does a descent job of summarizing the success of the project. I set the strategy and creative direction for @nikebasketball. I worked with the talented Madbury Club on regular shoots featuring footwear, our athletes and love of the game imagery. Team Epiphany lead copy and day to day posting. Collectively we grew the community to 2.8 million followers. I put a Nike point of view on all major basketball sport moments and owned the social conversation around our athletes. I worked with the internal team to redesign creative to reflect an editorial quality of work. Content has been used on t-shirts, gift cards, featured in photography magazines, billboards and other out of home. I aligned with our PR team on launching the LEBRON 12. @nikebasketball live-tweeted the event and solicited questions from social. For the live-tweet, we used many different types of content to engage our community: info-graphics, GIFs, voting-cards, photos, twit-vid, etc. - LEBRON 12 was trending twice, US and World Wide. - 1.4 million social engagements (2.3 million including post clicks). - 9 million social impressions. I worked with the internal PR team to launch Kevin Durant's 7th signature shoe. For the first time ever Nike Inc. utilized live-stream technology to unveil product. I lead the digital integration and partnership with YouTube, while the PR team produced the show. Through this execution we showcased the power of community by having the most successful Nike Basketball launch ever, in terms of conversation. The KD7 launch surpassed KOBE 9 and LEBRON 12 launches, even-though the KD7 event had 4-5 times less media members in attendance. - Eclipsed KD VI launch by 465%. - Viewers from 142 countries. - The most successful KD signature to date in sales and nike.com visits. With the goal of creating hype around Nike Basketball’s next signature athlete, we decided to unveil Kyrie and the Kyrie 1 through a digital storytelling experience. The digital team created four signature athlete films featuring LeBron James, Kobe Bryant, Kevin Durant, Gary Payton, Scottie Pippen, and Penny Hardaway. I partnered with good friends at Facebook to help fund the project. We welcomed Kyrie into the signature family with an exclusive Facebook live-stream. On Sunday Jan 22, 2006, Kobe Bryant Scored 81 points. On NFL Championship Sunday, Kobe led Sports Center. Seven Years to the day after Kobe’s feat, NBA TV was set to rebroadcast the legendary game. Nike, Wieden + Kennedy and NBA TV gave the re-air of Kobe Bryant's classic 81-point game a social kick. After giving Kobe his first taste of Twitter (@nikebasketball takeover), he picked up @kobebryant & quickly got comfortable by live-tweeting the broadcast of one of the greatest scoring performances ever. We created a seamless two-screen experience that connected what was happening on Twitter with what appeared on NBA TV. Tweets from @kobebryant, @nikebasketball, fans and even @shaq were featured on the NBA TV during the re-broadcast. As a result the campaign hashtag, #countonkobe, was mentioned more than 80,000 times that day, and continued in popularity over the course of the NBA season. Additionally, the live-tweet event pushed the telecast to #3 for the day in terms of social conversation. This had never been done before and is now considered a best practice for how networks rebroadcast 'classic games' in the digital age. One of my proudest accomplishments at the LA Clippers is finding Max Frishberg on YouTube and bringing him in-house as our video editor. Max produced work for Clippers.com, team social channels and in-arena videos. Additionally, I worked with Interscope Records to secure rights to songs of up-and-coming artists. Interscope was willing to work with us free of charge in order to get more visibility for their performers on our content. Some names you might recognize today are Imagine Dragons, Skrillex, etc. Max and I have developed a close working relationship over the years and he continues to produce work for my team at Nike. He has edited numerous films for athlete meetings and collaborated with Wieden+Kennedy on a James Harden film. During the 2014 NBA Playoffs Craig Sager was diagnosed with Leukemia. His doctor cleared him to come back to work for the Oklahoma City vs. Chicago game on May 5th, 2015. Due to his close relationship with Nike, we felt it was important to celebrate his return to the court in an authentic manner. When I called Craig to gather some insights to help us customize the messaging, he mentioned that he loves wearing crazy animal skin shoes but that his feet were too swollen to wear his typical dress attire. He also let me in on the most anticipated question: what suit was he going to rocking for the first time back? Armed with the info, the team and I created something we felt was fitting for the sideline legend. I worked with his wife Stacey to make sure Craig had something comfortable to rock on his big night back. We also asked our social audience to vote on which pair of KD 7iD ‘animal print’ extensions he should wear for a future game. We changed our social skins to match his suit. Knowing how close Craig is with Kobe, Kyrie, KD and LeBron and that he is ‘the man for every occasion’ we made a series of posts leading up to his comeback that included the finest moments of him with our signature athletes. Overall, the night was a huge success because so many people made Craig feel loved. This is one of my favorite projects at Nike for obvious reasons. UPDATE: Sadly Craig’s leukemia has returned. We are keeping him in our thoughts and are hopeful for a full recovery. If you are interested in learning more about Leukemia and would be interested in donating please go to www.lls.org. I built and managed a team at the Clippers that revamped company’s social channels to drive digital storytelling, resulting in dramatic increase in following across multiple social platforms and was awarded NBA’s ‘Fan Nation Award’. I aligned our social strategy to the unique functionality of each social network. Paul George’s comeback utilized similar imagery and assets, yet was presented differently on Twitter, Instagram and Facebook. Nike Basketball always reflects the season of the game. During the fall, we honor the players who let the shots drop while the leaves fall. During the winter, we honor the gym rats and high school hustlers. On the first day of summer Nike Basketball celebrated the annual migration of the hoopers from the hardwood to the concrete with 24 courts in 24 hours. I worked with photographers, geos, territories, and agencies around the world to source original photography that showcased that the game is truly international. ALL DAY. ALL NIGHT. #ALLFORTHEGAME. Be Strong, previously Stand Strong USA, is a nonprofit organization whose mission is to put a stop to bullying among students in America through resilience education. Bullying has become a pervasive and unfortunate reality among the youth of today, and in the online world as well. To support this cause, the ONA team developed a strategy to empower, inspire, and mobilize teens to transform their school cultures to foster a loving environment. ONA established the guiding principles, tone of voice, art direction, photo direction, and content strategy.